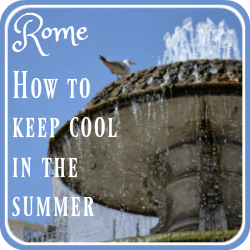 How to keep cool in the summer in Rome - continued. 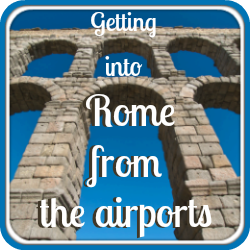 Going to Rome this summer? 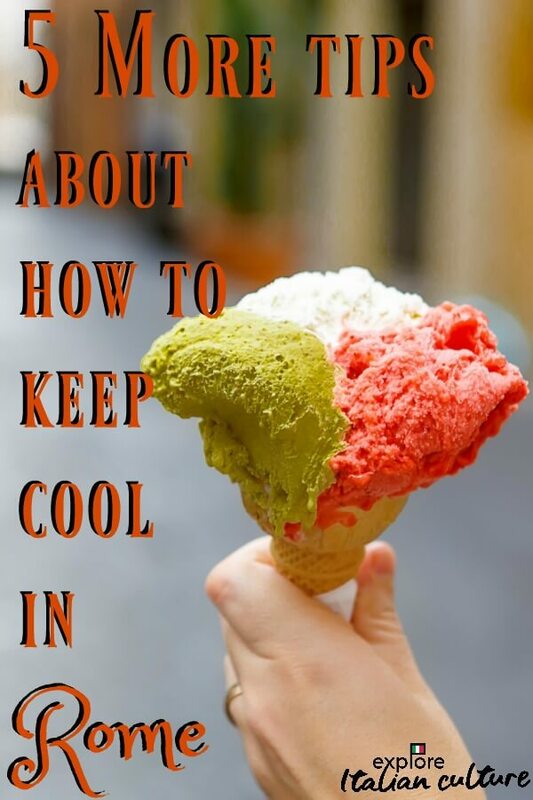 Here's how to keep cool in the heat! 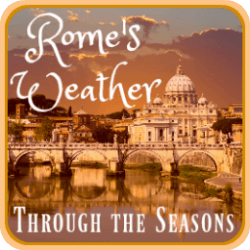 Rome in the summer months seems to get hotter each year. Because the city is inland, there's no cooling sea breeze and the air can be extremely humid. What should be a fun, amazing visit to an amazing city can all too quickly become a hot, irritable time. 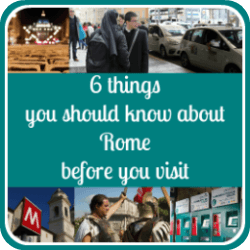 But with some careful planning and tips we've taken from people who live in Rome full-time, it's possible to enjoy the city even in its hottest months. So here are the final five of our tips about what you can do to keep yourself and your family cool and safe when temperatures soar. 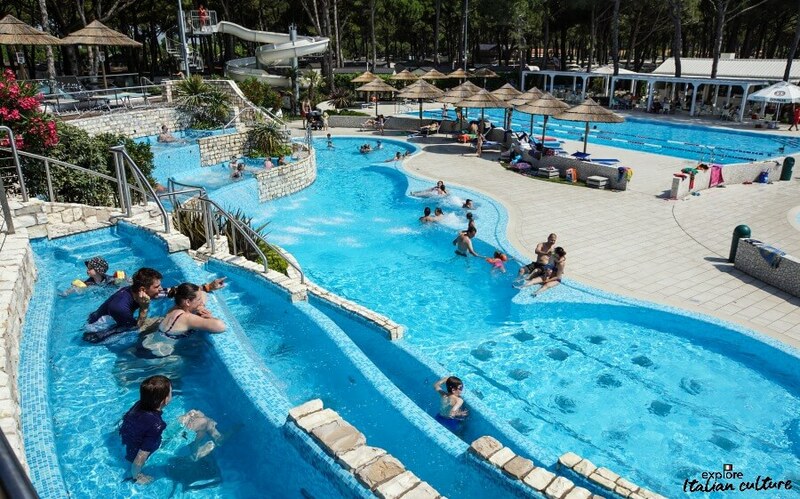 Keep cool tip #6: Visit Rome's waterpark! Rome has its own city beach. It tries hard to be like Paris' summer beach (which, by the way, is amazing) but to be honest, it isn't very good. There's a small above ground pool, some umbrellas, recliners and a bar on the side of the River Tiber. 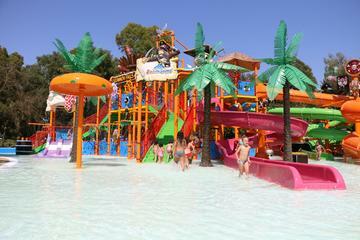 Enter Rome's themed waterpark - Zoomarine. ...there's a 4D theatre and talks about the oceans, walks through tropical forests (watch out for the parrots!) 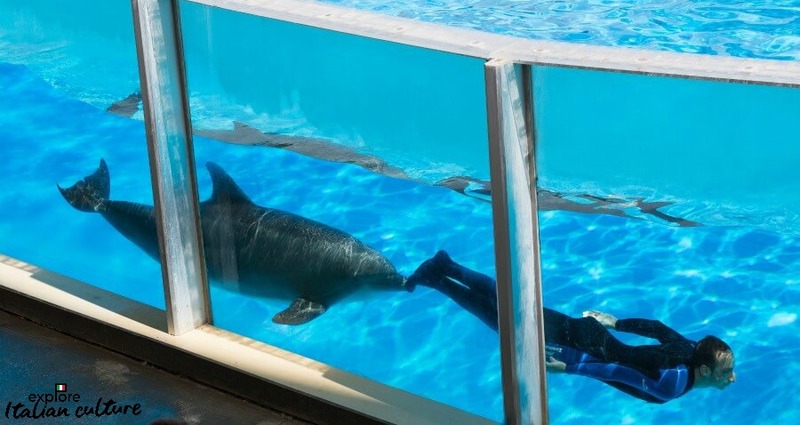 and demonstrations by dolphins and sealions. All are either rescues or born in captivity - the park has a policy of both sustaining the environment and not endangering wildlife. Watching the dolphins swim in Zoomarine. 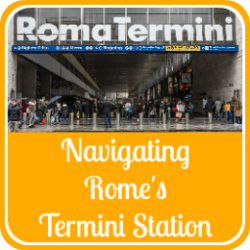 Zoomarine is situated about 25 miles from Rome and there's a public shuttle bus which goes from Termini station - details are here, but only in Italian. It's open full time from early July to mid-September. After that Italians, no matter what the temperature, think you'll "catch a chill" if you so much as look at a swimming pool. If you'd like to visit for a day but you can't stand the thought of organising it all with kids in tow and in the heat, you can book tickets in advance with our partner, Viator. 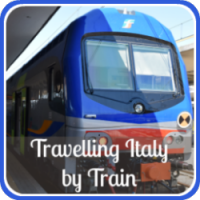 The price includes the shuttle bus to and from Rome, park entrance, snacks, an "all-you-can-eat" buffet, reserved seats to all the shows and use of all the park's pools, rides and other attractions. It's excellent value, and takes all the hassle out of what should be a fun, stress-free day. All you need to remember are your swimmers, sun cream and a towel! Click below for more information and reviews. How to Keep Cool Tip #7: Organise your day. 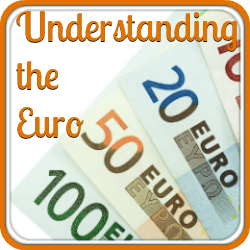 We've already talked about planning in advance and making sure your hotel has air conditioning. Most hotels in the Eternal City do now have air conditioning - hoteliers know how unbearably hot the summer weather can be. 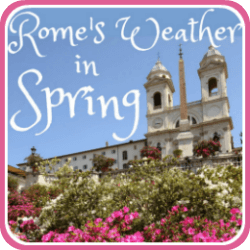 Before you travel, keep an eye on Rome's weather forecast. Make sure you schedule your time accordingly. Don't, whatever you do, try to do it all at once in the searing heat - you'll exhaust yourself and it will spoil your time in the city. Get up early and visit the well known sites before the sun gets too hot. As a bonus you will beat the main rush of tourists who are still having breakfast. The best time to see the Trevi Fountain or the Spanish Steps, for example, is before 7.30am. You'll enjoy them far more without having to push through the crowds. The Spanish Steps at sunrise - not a tourist in sight! Enjoying just being in Rome, soaking up the atmosphere, is one of the best things about visiting. It's what you'll remember most when your visit is over. So at around mid-day, stop walking, get out of the sun and eat a light lunch either in an air-conditioned restaurant, or outside under the cover of umbrellas. Don't rush it. Don't feel compelled to eat quickly and run to the next place on your list. Take it slowly. Soak up the atmosphere. Watch Italian life unfold before you. Eating in the shade is a must in the Rome heat. Trastevere, Rome. The afternoon break is the same in any language, so when in Rome do as the Romans do - plan your day around an afternoon siesta. Head back to your hotel and have a rest. You don't necessarily have to sleep. Read, listen to music, watch T.V. - whatever relaxes you. In the late afternoon, once the sun is not so searingly hot, have a cool shower and head off to the sights again. 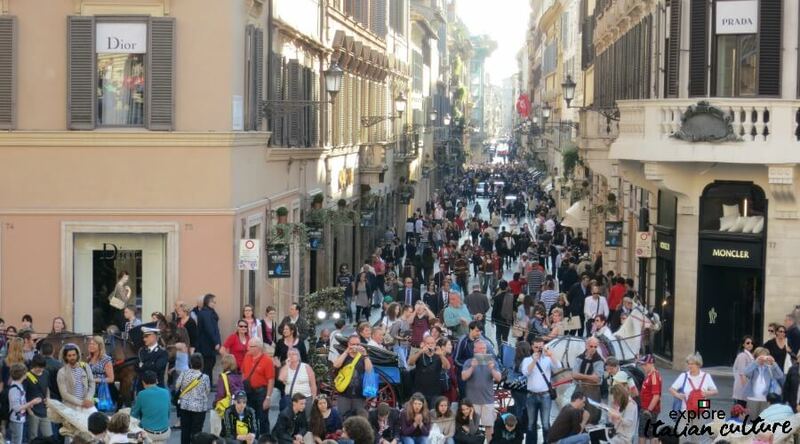 Maybe start your evening down at the Spanish Steps for an early evening 'passeggiata' (so much more than just a 'stroll'!) and a meal. How to Keep Cool Tip #8 : Bring a brolly! No, not because it will rain (although summer squalls are pretty common). Because they're a good substitute for a parasol! Walking or sitting anywhere in searing sun - even on a cloudy day - puts you in danger of sun stroke, as the sun hits the back of your neck. Men often choose to wear a hat, but women tend not to. How to keep cool without one can be a problem. Umbrellas or parasols are the answer. Cath swears by this Totes brolly, which she always carries with her on travels. It's light enough not to add much weight to a case yet strong enough to withstand wind. And in the summer it doubles as a parasol. Not as pretty as a parasol, obviously, but it does the job. 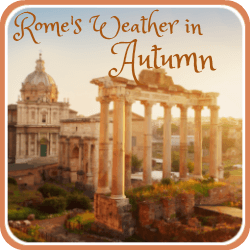 If that doesn't do it for you, you'll be able to buy a parasol from one of Rome's many street vendors. If you travel on an open top bus or visit any of the many Rome tourist attractions, you'll see them selling these brightly-coloured parasols. They cost a couple of Euros and they're well worth it. Although they're fairly flimsy so probably won't last the journey home, they're light enough to carry easily and will keep off the worst of the sun's rays. When in the heat of Rome - needs must! 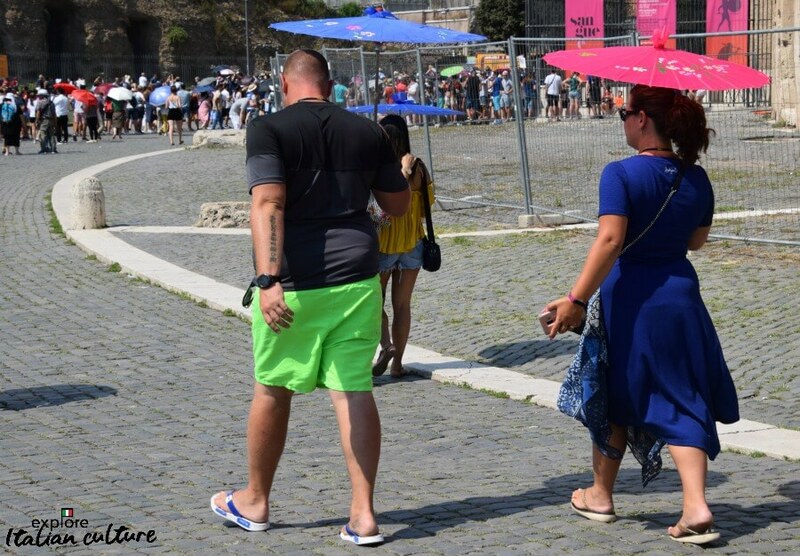 How to Keep Cool Tip #9: Don't visit the Colosseum. I know, this sounds like weird advice. What we mean is, don't visit sights like the Colosseum or the Roman Forum in the heat of the day. There is very little shade and it gets unbearably hot. If you book a tour, absolutely definitely book early morning or late afternoon. And in between, plan to spend time in air-conditioned places. You and your family will be much happier. The obvious places to find some cool are churches - which are naturally colder because of their stone interiors. They also have the added advantage of providing pews to rest weary feet. 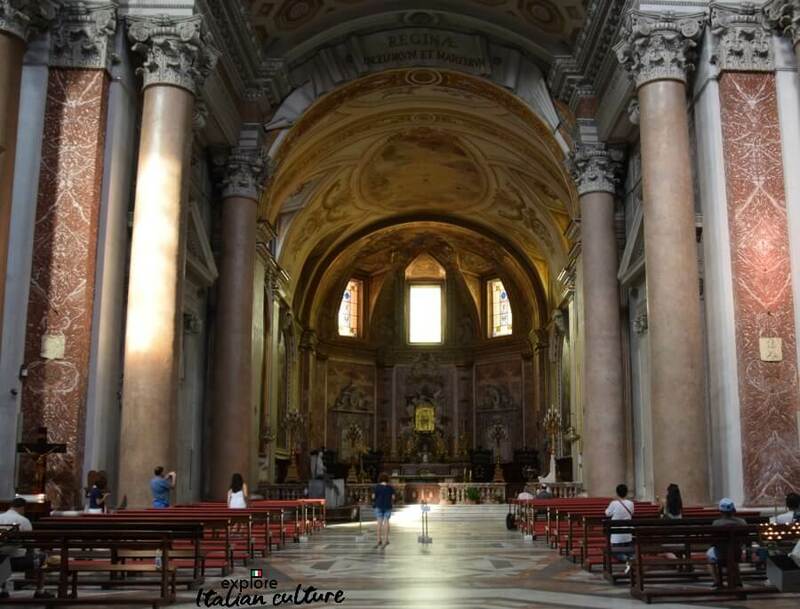 The beautiful church of Santa Maria degli Angeli e dei Martiri - a cool refuge in the heat of Rome's summer. Museums and restaurants are also good. Don't forget shops in Rome, either, particularly if you're travelling with kids. 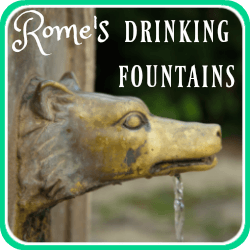 Child-friendly shops in Rome can be excellent places both to cool off and to keep kids who are bored with ancient ruins entertained. For basic high street stores use Via del Corso. 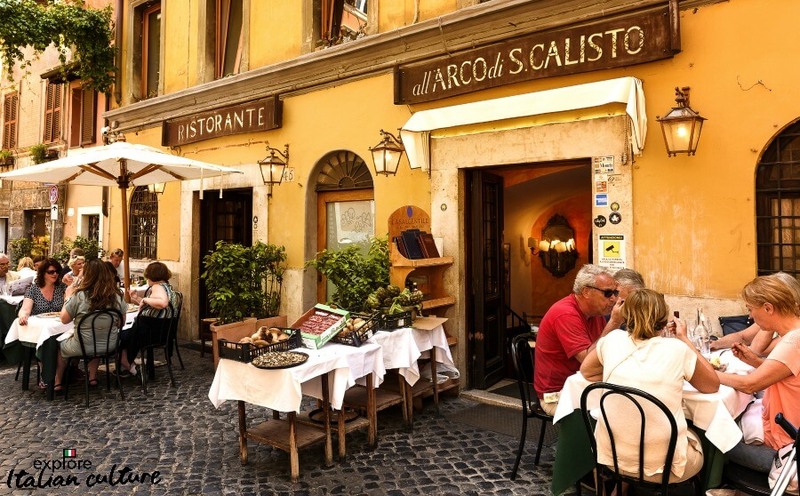 And if you head down Via dei Condotti near(opposite the Spanish Steps) you'll find some of the most famous shops in the world, all ensuring their customers spend as much time as possible there by turning the air conditioning way up high. Gucci, Bulgari, Valentino, Dolce and Gabanna - the list is endless, and amazing. So you will be able to keep cool and marvel at the outrageously expensive goods all at the same time. Dior, Prada, Moncler - the start of the Via dei Condotti - a cool place to keep cool in Rome! How to Keep Cool Tip 10: Take an open top bus tour or a boat ride. Open top bus tours and boat rides down the Tiber River sometimes don't get a very good press, mostly because they often can't get close to Rome's tourist attractions. So face it - you may have to walk a couple of hundred yards to see the Trevi Fountain. But these are brilliant ways of getting an overview of what the city has to offer. Take a look at this short video to get an idea of what you'll see on the city hop-on, hop-off bus ride. We've used these buses when planning a Rome trip with older people and with children who would find walking round the city in the heat of the summer impossible. For kids in Rome, travelling on an open top bus or a boat is a treat whether or not they see any sites. For the elderly it's a great way of allowing them to feel they're not holding the family back, whilst at the same time giving them permission to sit down. 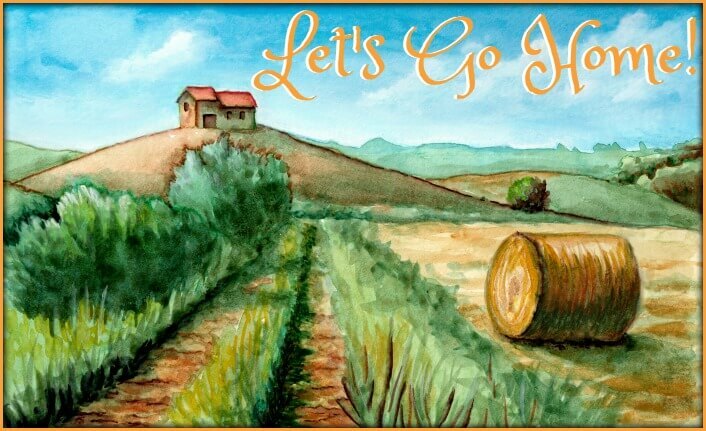 Click here to pre-book your Rome Hop-On Hop-Off Sightseeing Tour with our trusted partner, Viator. However you choose to keep cool in Rome - have a great time in this wonderful city! 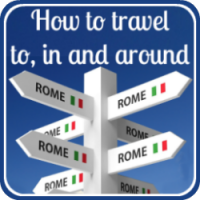 Here's some other information to help you plan your time in Rome. Click the buttons to see each one.